We made our trek out to Carmel for a funeral, actually. For those who don’t know, Andrew’s grandfather was diagnosed with Stage 4 brain cancer back in February of last year. He passed away at home Dec. 28. Andrew has a small family, some of whom live here in town, some in northern Indiana, and the rest of us in Western New York. 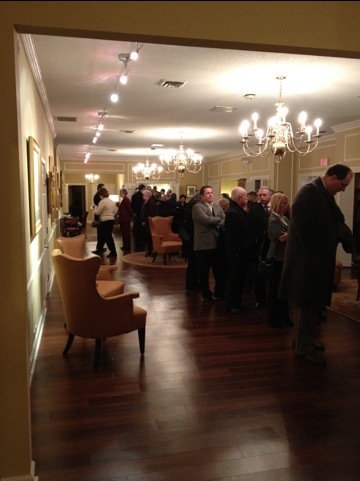 We’re at the wake right now, and the line of those who knew Bill is out the door with no sign of stopping. Andrew’s grandfather was a great man; he was a strong Christian, a wonderful father and accomplished civil engineer, who did a lot of work for the state and city. He was an avid golfer and softball player. He surrounded himself with great men, many of whom continued to visit weekly, even up until the end. Andrew’s grandmother, Nancy, has always been a friend to me and has been so strong this past year as she cared for grandpa. 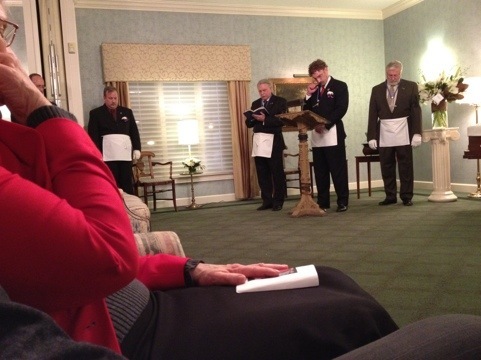 Andrew’s grandfather was a Mason, and 75 of them came to perform a short service and pay their respects. (Apparently a normal turn-out for this sort of thing is 8 or 10.) Many of them visited him often throughout the past year and spoke of him very highly to grandma. 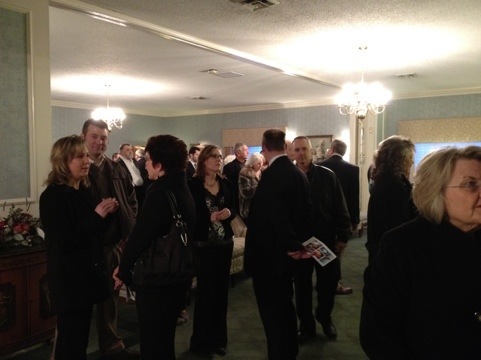 The overflowing line of his friends and acquaintances here is a testament to how great a man Andrew’s grandfather was. The funeral will be held tomorrow morning–please remember Andrew’s family in your prayers right now. Posted on January 2, 2012 February 27, 2016 by thehealthypineapplePosted in Slice of Life, TravelTagged Family, funeral, indiana, Ohio. I am so sorry to hear about Andrews Grandpa. Your family is in our prayers! Thanks Susy :). Can’t wait to see you next week!